Looking for the perfect neighborhood? 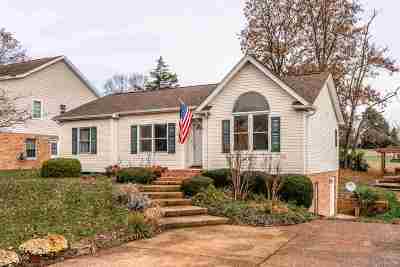 This adorable house in Quail Run is a perfect house for just about anyone. Open floor plan, vaulted ceiling, master bedroom with en suite bathroom and back deck are just a few of the comforts in this home. Don't miss the custom built backyard patio with pergola facing mountain views, the finished bonus room in the basement, and the ample storage and workshop space in the basement. New roof in 2014 and a new heat pump in June 2018. The seller is already sad about moving out of this adorable house, and says the safety and security of the neighborhood, as well as the lovely neighbors are what he will miss the most.